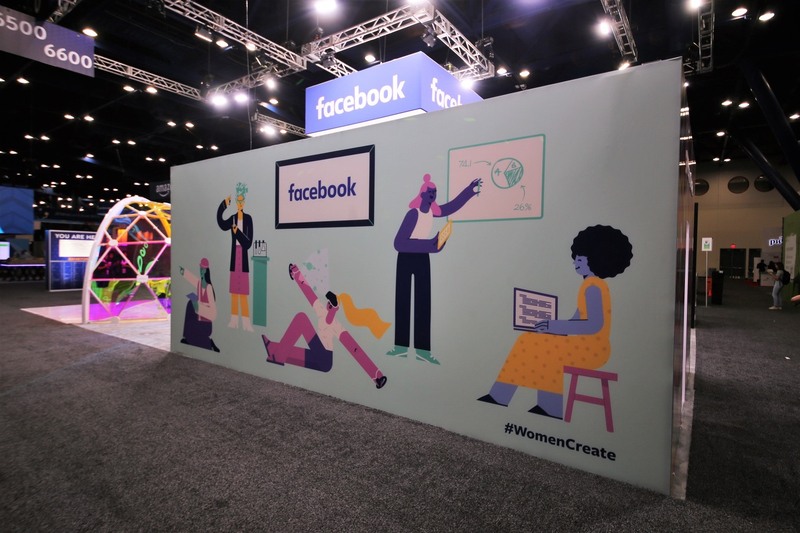 We recently returned to help Facebook showcase their family of brands at the world’s largest gathering of female technologists, for another year of recruitment – this time it was in Houston and as everybody knows: “Everything’s bigger in Texas”! This meant we had to step it up for our follow-up installation. 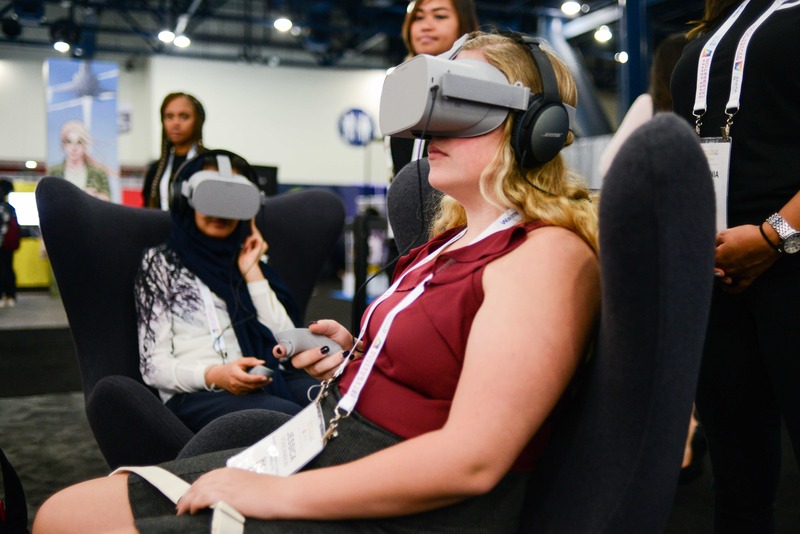 Originally organised in 1994 and named after trailblazing female computer scientist, Grace Hopper, the yearly event is a hub of panel discussions, networking, interviews, and socialising. 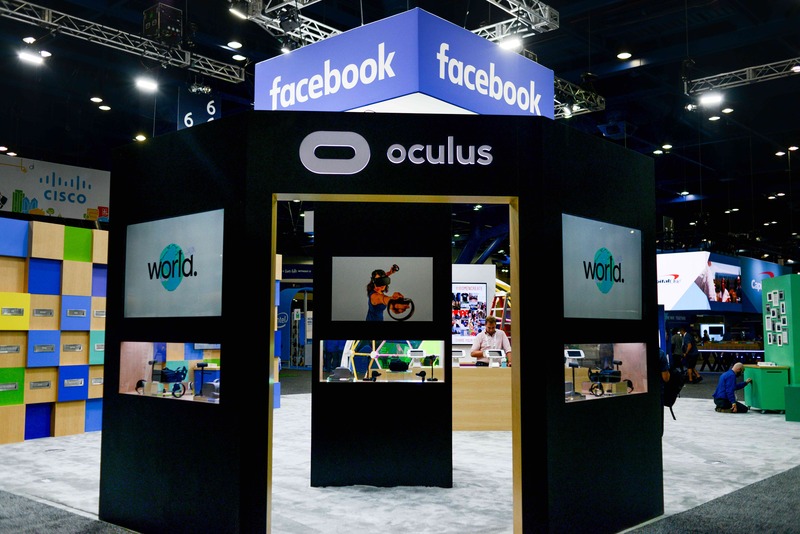 We had previously helped Facebook in their recruitment drive for the best and brightest of the 18,000 females in attendance the year before, in one of the world’s largest exhibition halls in Florida. 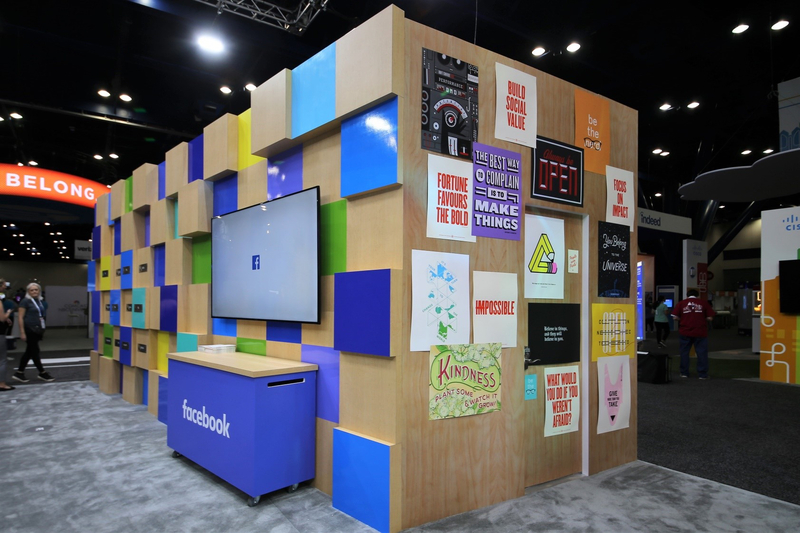 This time around, we had to really think outside the box with our creative solution in order to maximise the leading platform’s brand presence and ensure that it made even more of an impact than the previous year. As any creative knows, sequels can be challenging… Especially as this time around, there were over 2,000 additional attendees! 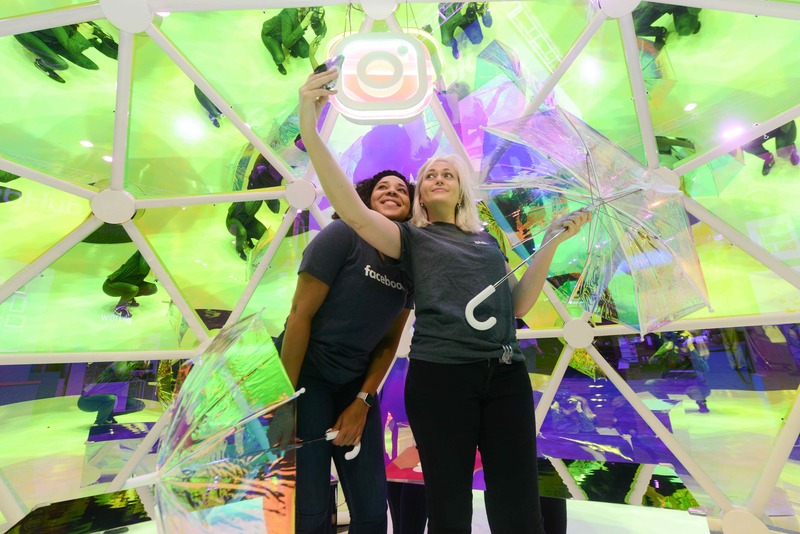 To ensure the stand caught the attention of all who passed, we incorporated striking playful playground colours, as well as an urban playground theme which would appeal to the adventurous and curious nature of the young females in tech. 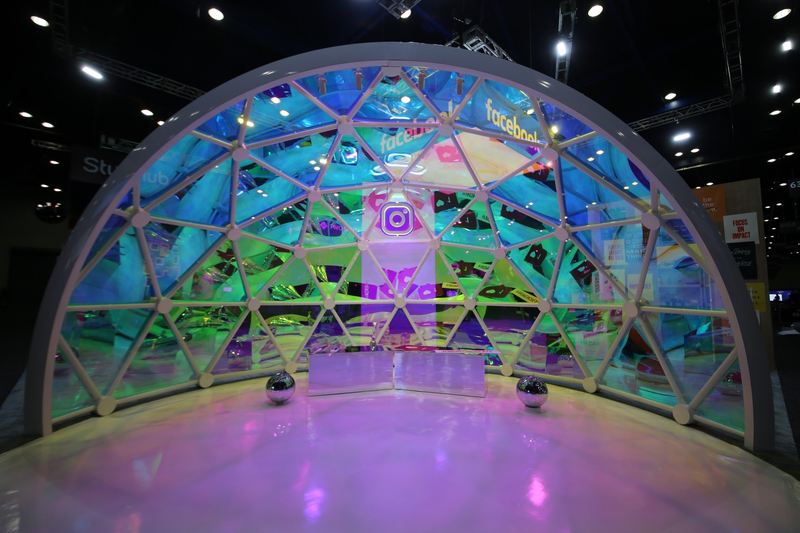 To immerse guests in the Instagram brand, we designed and installed an iridescent geometric dome, inspired by a similar installation by renowned Production Designer Hillary Gurtler, in their New York office. 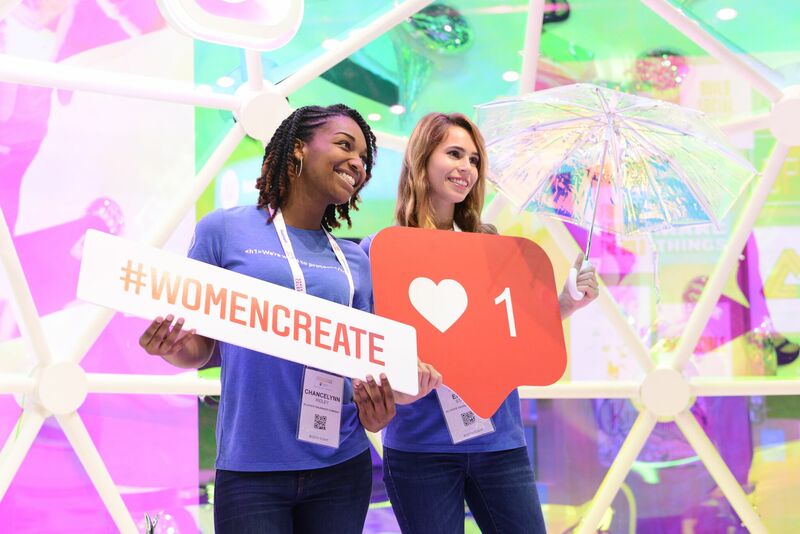 They were then encouraged to share their irresistible selfies using #womencreate and #FBGHC, which were displayed on a livefeed throughout. and a cartoon mural that empowered women on the other. 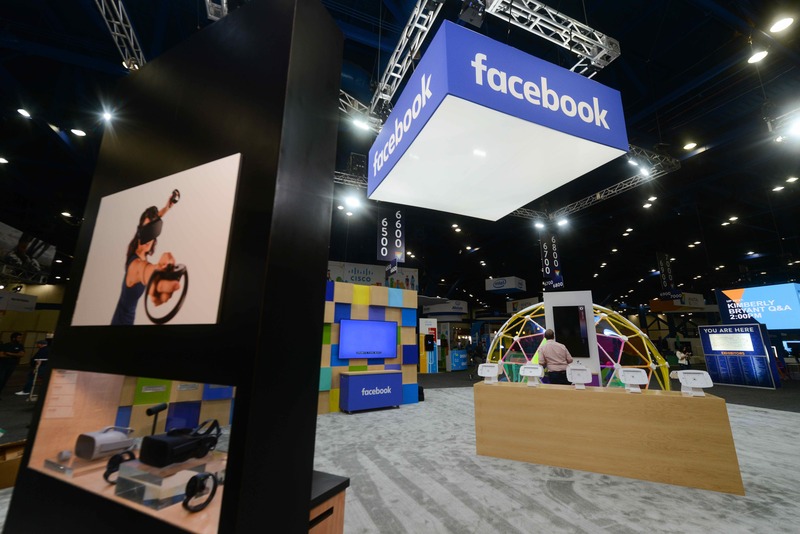 Facebook had members of staff from across multiple departments (ranging from security to user experience) recruiting onsite over the course of the three days – each speaking with candidates and “mailing” their CV for processing if they fit into their specific pipeline. Inside the booth was a hidden office where staff would sort through the applications and arrange interviews. 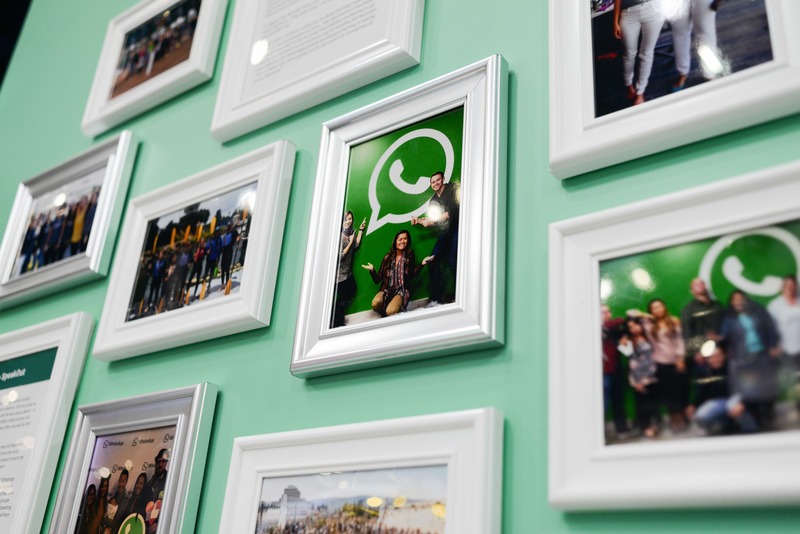 Last but by no means least, we had to represent WhatsApp in all its glory. 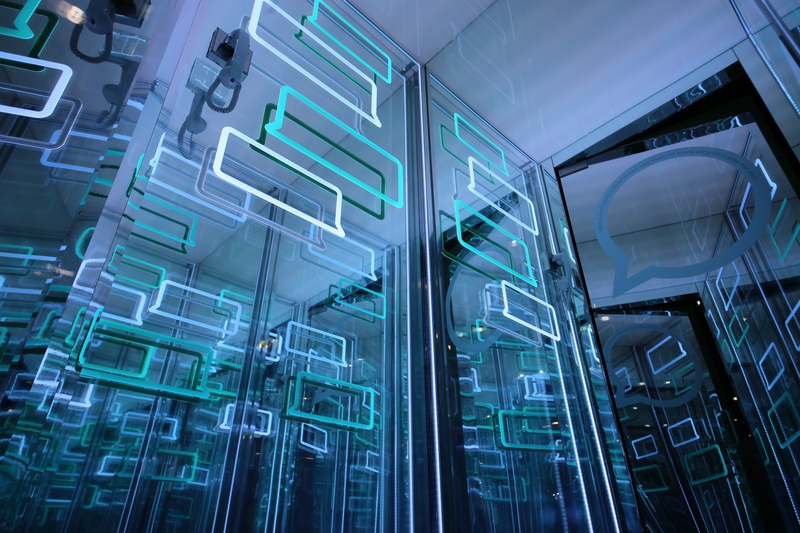 To bring everyone’s favourite messaging app to life, we created a phonebox like never before, incorporating an infinity mirror experience with brand colour lighting. 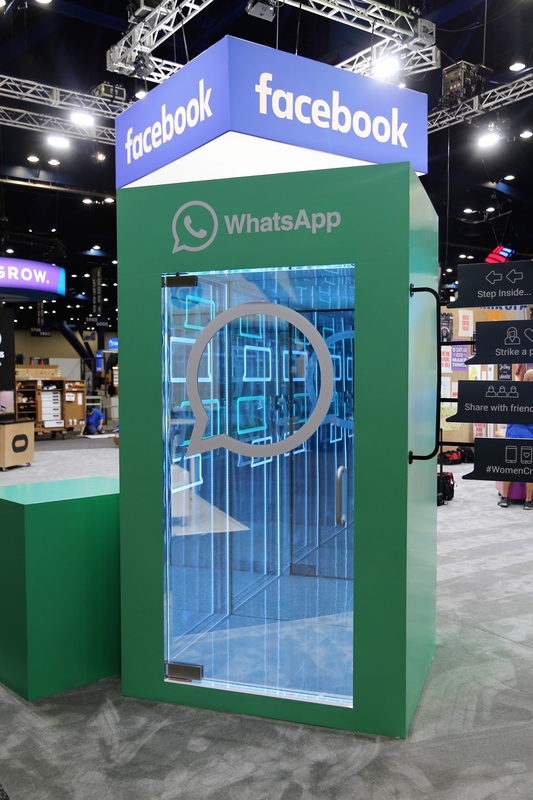 The WhatsApp booth offered two photo opportunities: one from outside through a one-way mirror in the door and a selfie in the infinite reflections inside. 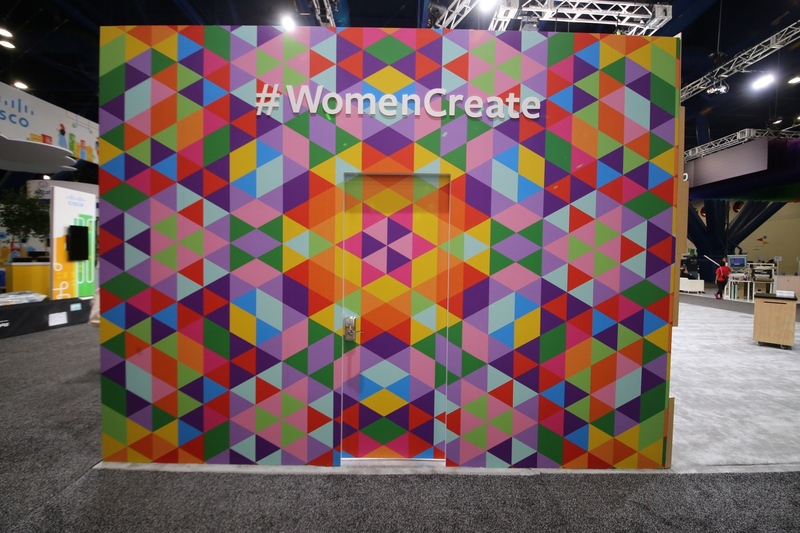 The messaging displayed throughout the build was straight from the mouth of the boss himself, reflecting Facebook’s current mission statement: “Women Create”, as well as “Bringing the World Together” and “Why We Build”. Clive also took care of the venue sourcing for various other talks going on outside of the event. With 600+ interviews conducted and almost as many suppliers required for everything from fabrication and AV to rigging and printing, feedback was very high – a number of comments were made on how vibrant and attractive the installation was, resulting in a very happy client.